Summer afternoons get pretty hot for this fluffy pupper in our old house with no air conditioning. 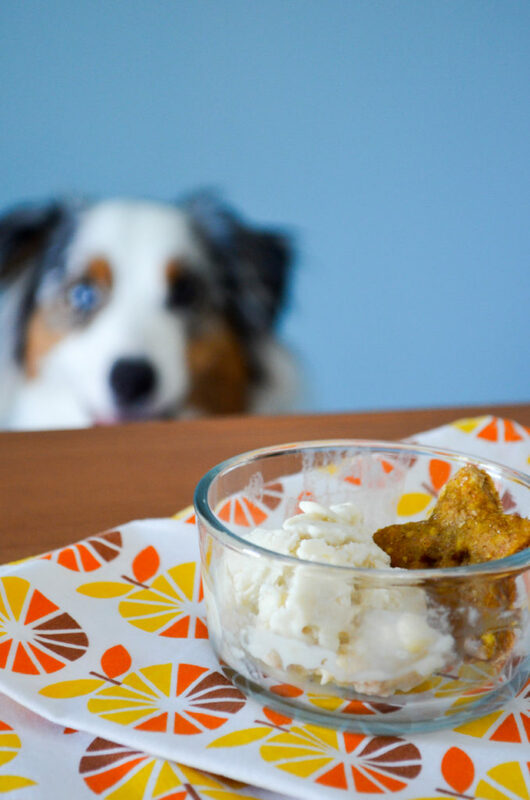 We keep cool with walks in shady parks, romps in the kiddy pool and this two-ingredient doggy frozen yogurt stuffed into Kongs. 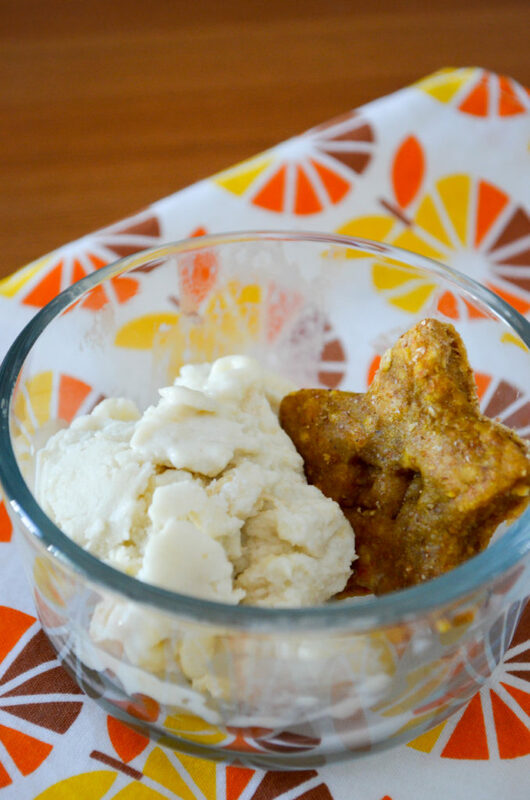 Made with just banana and plain yogurt, it’s a simple, healthy and refreshing summer treat! Makes enough to fill 2 large size Kongs. Mash banana in a small bowl and mix well with the yogurt. Churn in an ice cream maker according to manufacturer instructions. You can serve the frozen yogurt to your dog now but it will be more of a soft serve consistency. For a longer lasting treat, fill a couple of Kongs (or other dish your dog can eat directly out of) and stash in the freezer for a few hours. Since there isn’t any added sugar, the frozen yogurt is going to freeze up quite hard and will be difficult to scoop. 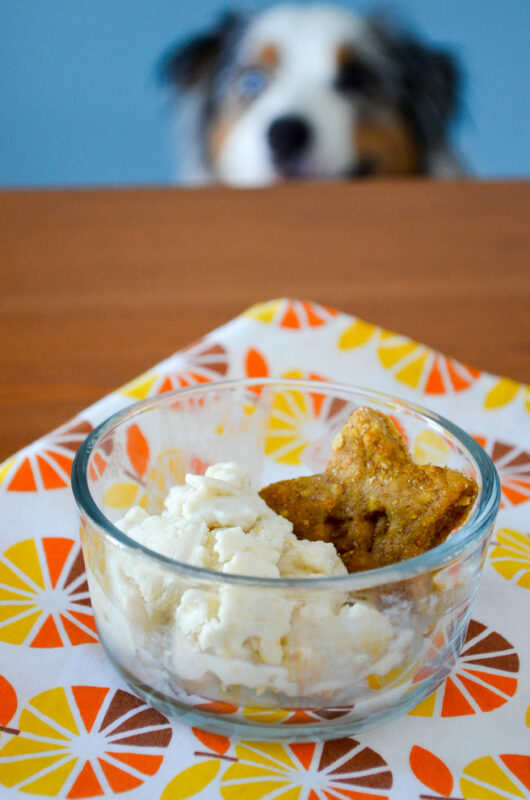 If you can’t freeze it right into something your dog can eat out of, just leave it out on the counter until it thaws out a bit and becomes soft and scoopable again before serving.